How many "@generated not" do you have in you EMF project ? 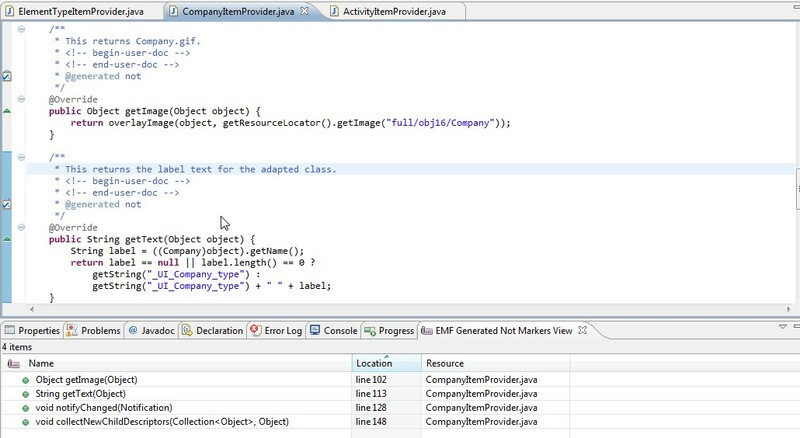 EMF @generated NOT View shows you all the EMF generated code java members annotated with a "@generated not" comment in your workspace. After installing this tool and restarting your workspace, a full rebuild will be performed in order to work properly. This will occur only the first time you restart your workspace. By adding the following code below to your website you will be able to add an install button for EMF @generated Not Markers View .